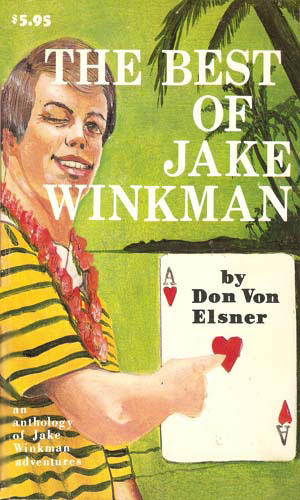 Jake Winkman is a part-time agent with the CIA. 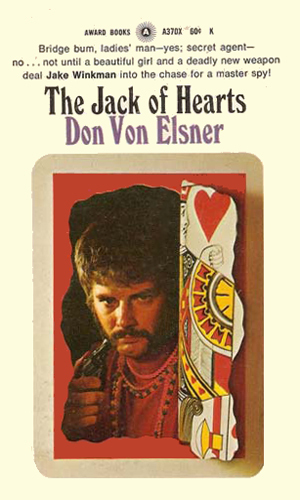 He prefers to think of himself in his other profession, that of professional card player. The exploits of Jake Winkman is one of those razor-edge borderline cases of what is or is not a spy series. Winkman is most definitely not a spy. He is a bridge pro. Still, he does help out the CIA in his spare time and those adventures form the mold around which his activities take place. But even more than spy cases, the overwhelming purpose of the books is teaching the reader how to be a bridge pro. This is someone who makes a living teaching people to play bridge and, more importantly, attending bridge tournaments with them as their partner to amass points towards being a Master or better at that addictive card game. For the uninitiated, a person becomes a Bridge Master by attending and doing well at authorized tournaments around the world. Since this form of bridge is a partnership style, when the partnership does well, both members earn the points. Therefore, having a good teacher is important to doing well and having a good partner is even more so. Winkman makes a very nice living travelling, expense-paid, of course, to various exotic locales, and many not so exotic, and on cruises where wealthy people eager to make bridge points make frequent use of him. And since Winkman is going to these places and is expected to go there and is very much a known quantity and thus able to blend in well, he is a perfect man to be asked by the Agency to do little things for them. While the author, through the Winkman character, sets the scene for many events at the various tournaments and shows the hands he and his partners have there, he also explains the rationale behind the bids and the plays. The tournament is in Honolulu and along with the hot weather and hotter card play, there are corpses lying around and spies in the closets. What the FBI doesn't disturb in the tournament in the nation's capital, the CIA more than covers. Jake Winkman deals with trump, dead bodies, and beautiful women. While a master of disguise does all he can to steal the country's newest weapon, Jake Winkman just wants to get through the L.A. tournament with his pride intact. A compendium of 3 novelettes and 6 short stories depicting Jake Winkman adventures, only a couple of which seem spy related. There is nothing of an espionage nature in this book that deals with a long bridge cruise but there is one heckuva good travelogue about the Far East. 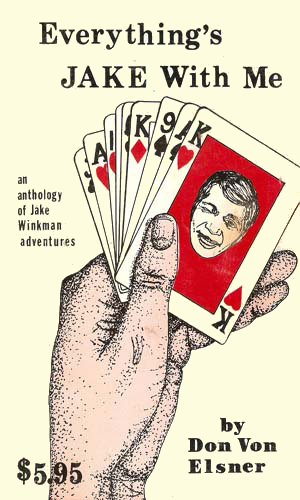 Three novelettes, three short stories, and three 'system' short stories make up this compendium of tales of Jake Winkman's bridge life. 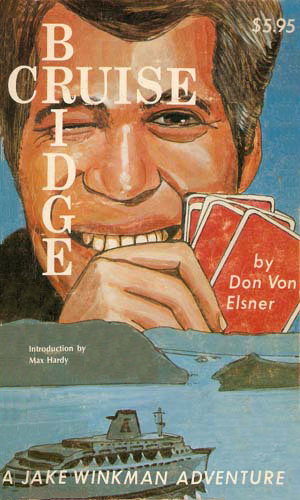 If you are an avid bridge fan, you'll likely enjoy these stories, though the amount of bridge information thrown at you is intense. I am a fan and I did enjoy them but I was overwhelmed. If you are not a bridge fan, you will not want to even start. Espionage, action, anything non-bridge is tertiary (forget secondary) to the play of the cards. 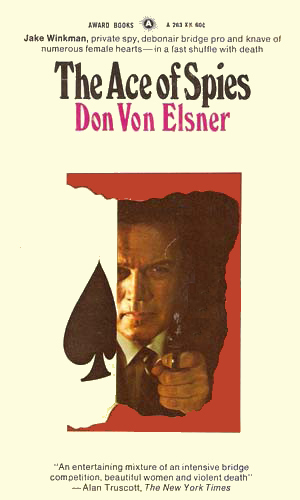 These books are intended as a training tool and the series is a lot of fun to read, if you are a bridge fanatic, which I have been for years. 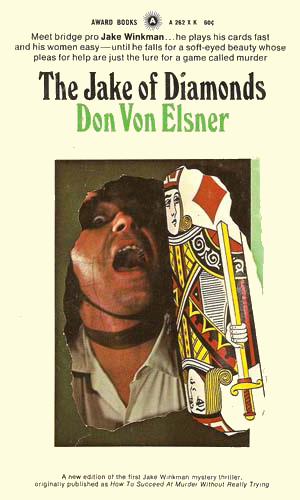 If you are not, this book will drag slower than a VW bug with three flat tires.